Self-indicative, heavy duty, low foaming, caustic draught line cleaner and stain remover for use in all manners of line and hose cleaning. 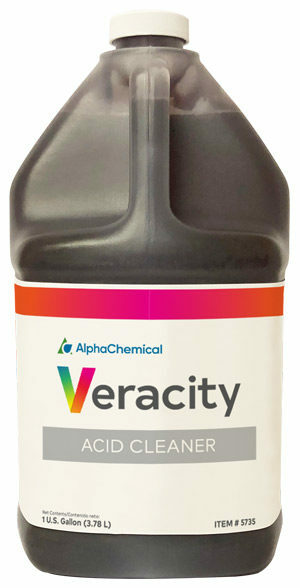 Veracity C-DLC is more effective than other products on the market because of the conditioning agents used in its composition. 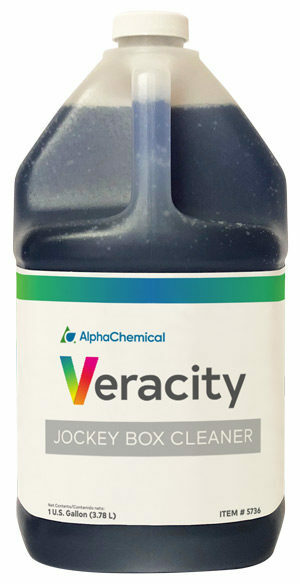 Instead of just turning the soil in the line into soap, Veracity C-DLC captures the soils and sweeps them away in the fluid stream. This cleaner is most effective above a pH of 12 and will alert the user of pH at all times. Veracity C-DLC appears blue when it is cleaning properly and encounters no soil in the draught line. When Veracity CDLC encounters draught line soil, it will turn to a yellow color. If the operator notices a brown color it is because the cleaner has turned yellow and the brown coloration is a result of the soil being removed.